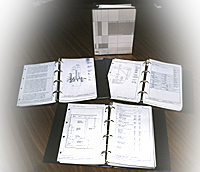 The architectural programme, second edition. To obtain ideas from a broader audience, the NATF surveyed the attitudes and wishes of the museum community regarding the new museum. Some 1400 discussion guides/questionnaires were sent out (July 1982) to the museum's staff, Advisory Committee, Board of Trustees, Canadian Museums Association membership, and other interested individuals. 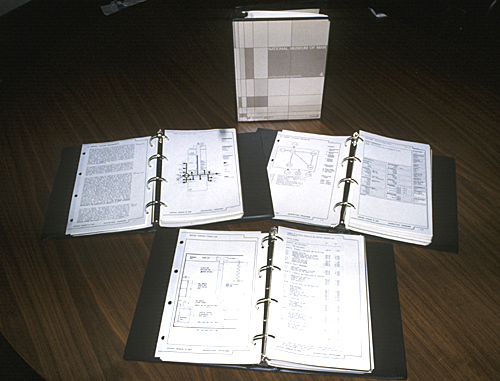 By October 1983 the architectural programme had swollen into a second edition of four large volumes of over 1200 pages. They included more detailed descriptions of individual spaces in the new building, lengthier specifications relating to conservation, security, and communication systems requirements, and a visitor projection model. 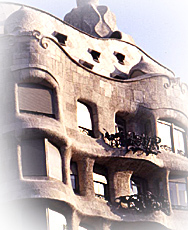 The design and production of a building as complex and demanding as a major museum could hardly be a simple sequence of architectural programme, architectural design, and construction, however. It was very much an interactive process. 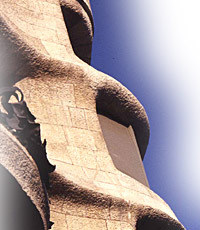 As important to Cardinal as the written documents was the continuing dialogue between architect's and museum staffs. The latter provided initial input (the architectural programme). The former responded with a design, in the form of a model and architectural blueprints, interpreting the programme. CMC staff came back with an analysis and criticism of the interpretation. The drawings were revised and submitted to a fresh round of feedback. And so on. 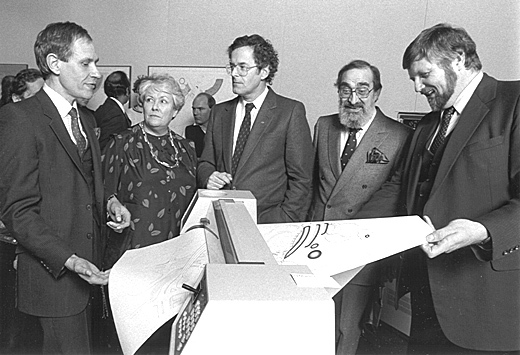 Douglas Cardinal (at left) demonstrates his site plan printer to Jean Boggs, CEO of the Canada Museums Construction Corporation, Francis Fox, Minister of Communications, Léo Dorais, Secretary-General of the National Museums of Canada, and George MacDonald, Director of CMC. © Douglas J. Cardinal Architect Ltd. It was a learning process for both parties. It encouraged increasingly specific and careful conceptualization and verbalization of needs, as museum staff and architects learned each others' languages and thought patterns. Furthermore the conversational process was integral to the "from the inside out" design philosophy of Cardinal: allowing those persons who had lived and breathed museums for years to express themselves fully and provide an informational framework for the architect's creativity. Through this process the original visions - both of the architect and of CMC staff - evolved. And it is the nature of evolution to produce an entity which is more appropriate to its environment than its forebears. Central to the process were the architect and his staff and CMC's staff. Although in a project this complex there were some disagreements along the road, as each group struggled to understand the other's viewpoint, the relationship was on the whole harmonious. Other components of the National Museums corporation - notably Architectural Services, Security Services, and the Canadian Conservation Institute - contributed to the architectural programme. The RCMP was consulted on security, and the Dominion Fire Commissioner, as well as provincial and city experts, helped with standards relating to safety concerns. Public Works Canada gave technical information on maintenance standards and space requirements, while the National Capital Commission specified design criteria that would ensure the building complied with federal objectives for the development of the Capital Core Area. Numerous consultants helped with engineering standards, laboratory layouts, building lighting, vertical transportation, landscaping, acoustics, and many other matters, while industry was approached about preliminary requirements for products such as high-density mobile shelving, dock levellers, etc. And, finally, the Canada Museums Construction Corporation was kept busy coordinating all these groups with the project as a whole. innovative techniques and technologies at cultural centres such as France's Centre Pompidou and Parc La Villette, Expo 85 and Expo 86, and at Epcot Center. From such influences CMC planners sought to synthesize a new model, unique to the Canadian experience and responsive to a wide range of audiences. 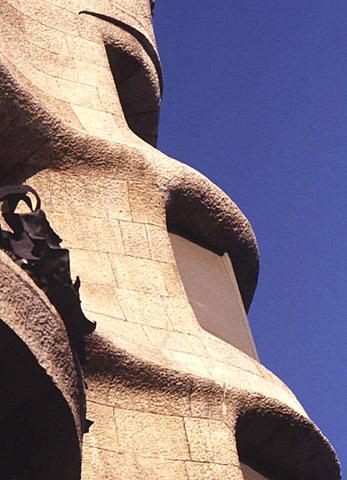 Cardinal's own influences include the visionary work of Modernist architect Antoni Gaudi, whose early 20th century works in Barcelona Cardinal had an opportunity to see first-hand thanks to the New Accommodation Project. 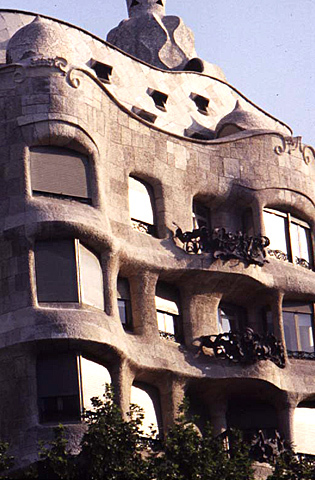 The curving terraces of CMC's curatorial wing recall the forms of Gaudi's Casa Mila.